The premier golf event in the Rio Grande Valley, the McAllen Amateur Golf Championship, is set to begin today at Palm View Golf Course. The 17th edition of the event begins with a putting tournament at 4 p.m. today. The first round of the tournament begins at 7:45 on Saturday morning with progressive tee times off of the first and 10th holes. Over the years, the tournament has hosted the best golfers in the region and given the RGV a pro-style tournament at one of the best courses in the area. Wicker, who won the Life Begins at 40 tournament in Harlingen earlier this year, has played in just about every McAllen Amateur since the inception of the tournament, and he has watched the tournament grow and flourish over the years. Players who have been out of high school or college golf for two years are eligible to compete, and that has always brought young golfers eager to make their mark. “What ends up happening is you get a lot of younger players that are well-seasoned in competitive golf, or you get guys that have played serious amateur golf most of their lives,” Wicker said. 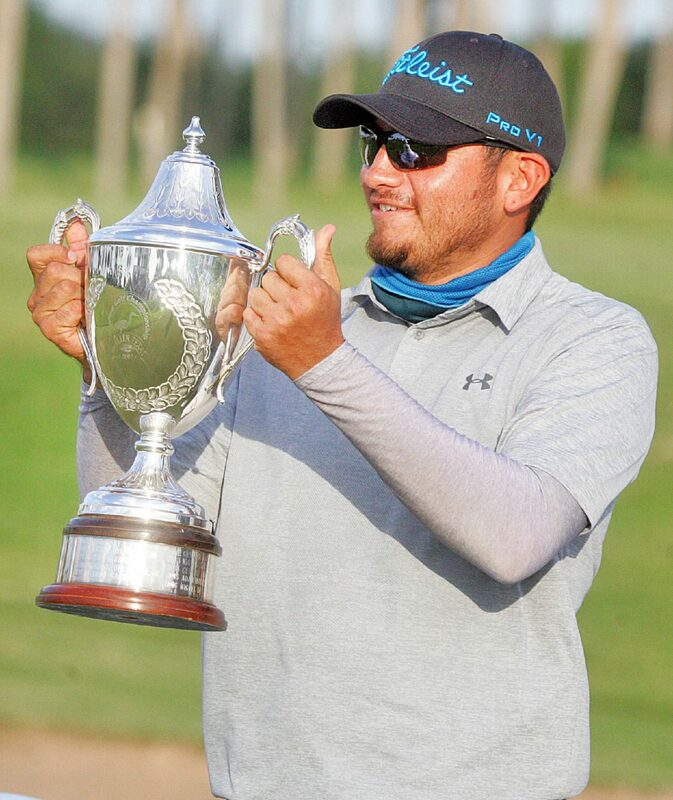 Defending champion Joe Avitia is eager to defend his title. The tournament has 150 players — another full tournament. But this year, 29 players will compete in the championship flight, which is the largest field to date for the McAllen Amateur. Avitia, 31, is a graduate of Edinburg Economedes. After high school, Avitia played for UT Brownsville for a year. Since then, Avitia has taken to adult life, supporting his family and raising his children. He said he only gets to play about 18 holes per month, but the love for the game has never died, and he continued to improve his play. Avitia was competitive in his first tournament, three years ago. His second time out, he took home second place. Then last year, he broke through with a win, posting the lowest 18-hole score of the tournament. Now, Avitia is ready to prove he is the golfer to beat again this weekend. “I feel just as confident this year as I did last year,” Avitia said.